Everything from Bible Study, Sermons, Commentary and Theological Discussion. Christian don’t ever forget, despite what other blessings you may see your fellow brethren receive, God is your Father just as much as theirs. 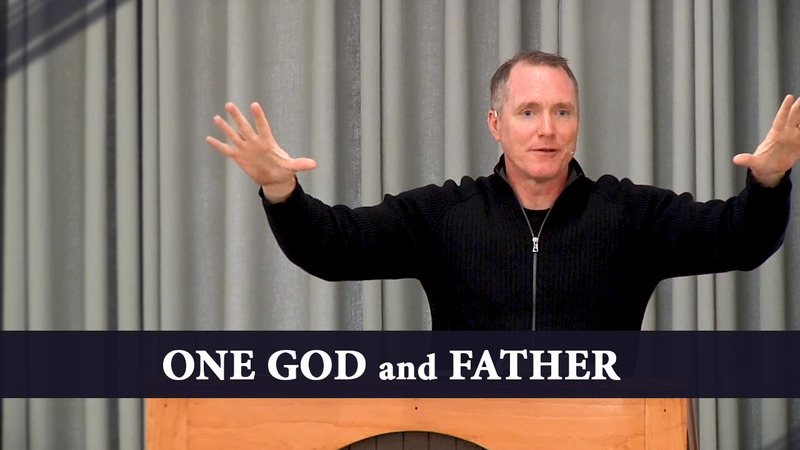 The Bible declares three distinct persons to be God (Father, Son, Holy Spirit), but we need to remember that the Bible gives primacy to the Father. The Bible most certainly exalts Christ, but we can’t forget that God the Father is said to be overall, including Christ. 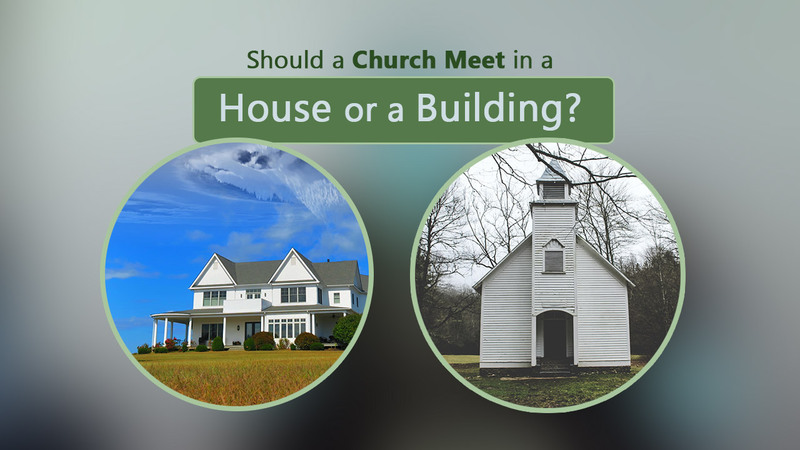 Should a Church Meet in a House or a Building? There is nothing in Scripture that mandates we meet in one place or another. Rather we are free to meet where it works for our circumstances. As much as we long for our lost loved ones to be saved, we can’t forget that God doesn’t owe them salvation, or owe us to give them salvation. But as we come on that basis, we can take great courage that God may very well be pleased to answer that prayer. 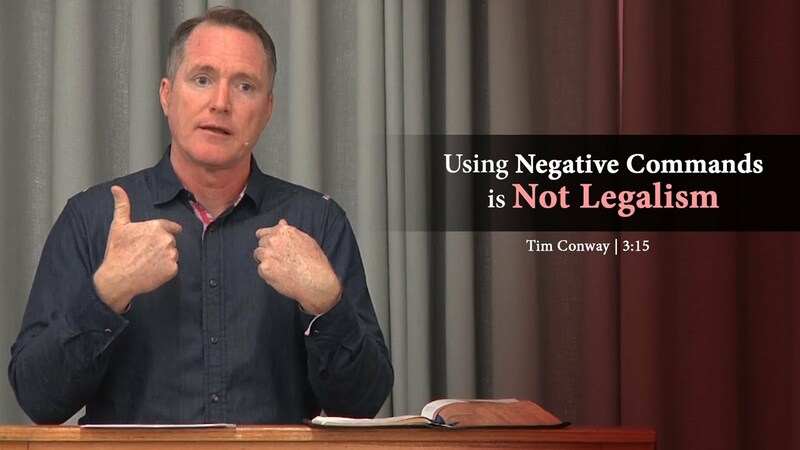 Legalism is something we must certainly be on guard against. But we must also be sure that we know just what legalism actually is… or more specifically, what it is not. 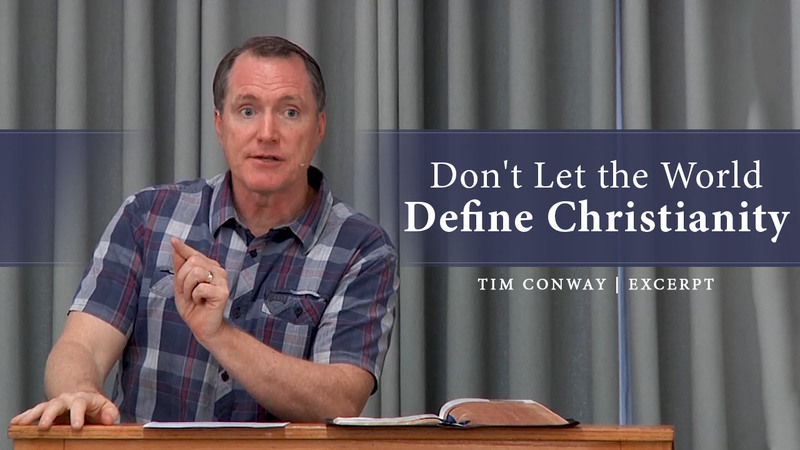 It is not legalism to tell Christians to stop doing what the Bible tells them to stop doing. 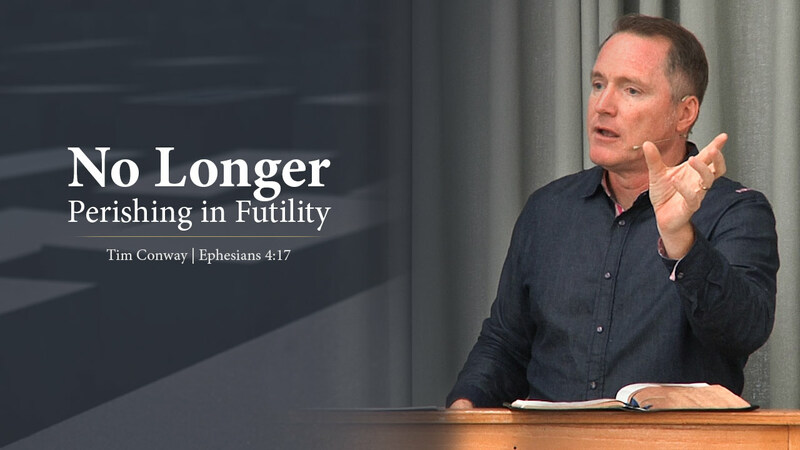 Excerpt taken from the full sermon, “No Longer Perishing in Futility“. Do You Know What You Really Believe? It is when the fierce winds of trials and suffering come that people often ask themselves what they really believe. What do you believe about Jesus Christ? When you are being shaken, where do you run to? Is Christ a sure foundation for you even when the bottom is falling underneath you? Or do you have to run to other things for refuge? Excerpt from the full sermon, “No Longer Children“. You can stir gifts up. 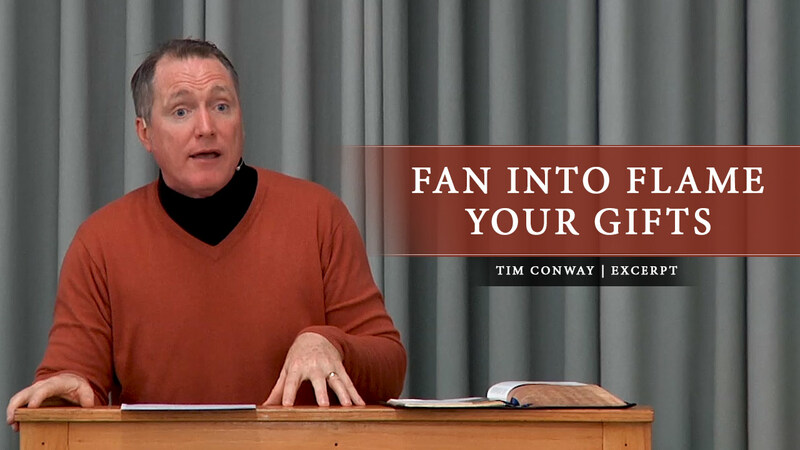 Now it may be true that you’ve only got a certain amount, but let me tell you this, Scripture says, “For this reason I remind you…” – this is Paul speaking to Timothy – “fan into flame the gift of God which is in you through the laying on of hands.” This is a picture of fire. Fan into flame – literally. Listen, we’ve all been camping. We’ve been around a bonfire somewhere. You know what happens. This is a picture of a fire that begins to go low. I grew up with a fireplace. I grew up camping. We all know. Listen, somebody comes along to a fire and pours a cold bucket of water on it. Yeah, that is bad for a fire. And we know that the devil – he labors to quench all that is of God that’s in us. But I’ll tell you, there’s another way to let a fire go out. Just don’t do anything. Just ignore it. Just don’t tend to it. Think about it. You’ve got a fire. What does it need? Typically – I grew up with a fireplace – we had a shovel. We had a poker. We had a brush. Why? What were those things for? Well, to get the ashes out. Stir it around. It’s like what Christ has done is He’s given you this burning hot coal. It’s for us to make fire rage. You’ve seen the fire where there’s embers down there. Yeah, there’s heat. There’s energy. But there is a place to fan it. There’s a place to blow on it. We had bellows. You could blow on it, but for some reason somebody gave us bellows. You get air on there. You need kindling. You know what you want to do with that coal (incomplete thought) You know where the kindling is. It’s found in people. Go around and touch it on people. Go try to be a help to people. Go try to be an encouragement to people. Go serve people. Give to people. Pray for people. Try to use whatever it is in your capacity to build up other people, to strengthen other people, to help the health of our church, to make people more Christlike, to encourage people in their worship, to encourage people’s faith, to stir up one another to love. Go do that. To try to stir up people’s passion for missions or try to stir up people’s passions for souls through evangelism. Do those things! Touch people with that ember that you have. See if it won’t ignite. Sometimes when a fire’s going down, what it needs is you know you’ve got pieces of the log that are outside the fire that if you just kicked them over into the fire, the thing would stir up. Is the fire going out? Well, stir it around. Change some things. Make some effort here. Blow on it. Get rid of the ashes. That’s why we have the shovel. You’ve let the ashes build up too high. Get them out! Leave it where it’s just the hot coals and the logs that are on fire. Take away the things that tend to put the fire out, that tend to cause this thing to dampen down and diminish in light and heat. Get rid of it. Listen, you want to exercise gifts? Be where God’s people are. Be in the prayer meeting. Be in the small groups. Be in each other’s lives throughout the week. Brethren, one of the things you don’t want to do is say, well, we go to church on Wednesday. We go to church on Sunday’s. That’s not the life of the church. That’s not the life of the church that you’ll find in the book of Acts. We want the life of the church that’s found in Scripture – not traditional Christianity in the United States. If you have a gift, there’s no reason that you only should be using the gift on Wednesday and Sunday. You need to be using that gift all through the week in whatever way possible. I know you work, school, all these things. Everyone of us has to sort this out. But you want to know one of the ways to get the fire burning and to fan into flame the gift that you have is to get out there and seek to use it. It’s kind of like a lawn mower. Have you ever noticed if you don’t use your lawn mower, then when you finally want to go use it, it doesn’t start? One of the best ways to keep your lawn mower operating is to keep using it. Same with cars. We tend to use our cars all the time, so we don’t really think about it, but just let a car sit for too long. You’re going to come back probably the same thing will happen. It won’t start. There’s lots of things that the more you use them, the more it keeps them usable. Be intentional. Listen, this grace is real that Christ has given to you. Don’t despise that. You say, if Christ has given me a grace, well, then, I’m going to use it. And I’m going to fan it into flame as much as I possibly can. And look, you only get to live once. Why in the world if some thirty-fold, some sixty-fold, some a hundred-fold, why are you going to settle for thirty-fold? Oh, because I want to watch the TV. I want to watch that show. Okay… We all have to make decisions, and I’m not saying there’s not a time to relax; there’s not a time that we need some R&R; there’s not a time to get to the mountain and get away. I recognize there’s a need for that. But brethren, if such things exist in Scripture that some are thirty-fold and some are a hundred-fold, why would you not press to be a hundred-fold? You only get to live once. Our works follow us Scripture says. Why settle for minimal realities with regards to this usefulness? Christ has given you something. Use it. Be faithful. Be faithful. Don’t grow weary in well-doing. You only get to live once. And we don’t have a whole lot longer to go. Here we’re at another year, another mile marker. You don’t have centuries and centuries to live. And even if you did, you shouldn’t be squandering the time. Your time is going fast. You only have one life to live. And if you’re Christian, you’ve been given a grace. And you’re expected to use it. Common good. And when you don’t, you damage all of us. It’s a very selfish thing when you don’t do it. I know some are shy. Some are uncomfortable. Some are socially backward. So what? Even if you’re socially backward, you could pray for this church. You could pray. You could pray. Some have a gift of faith that causes them to lay hold on God and pray all the more. Some can give and it’s not really in the limelight at all. It’s all done very secretly. But whatever your gift is pour yourself into it. Pour yourself out for one another. Grace is given to each one of us according to the measure of Christ’s gift. Use it, brethren. Use it to equip this church. Use it to build up this church. Use it for the common good of this church. Father, I pray You’d help us as we launch out into this new year. Make us ever more fruitful. Lord, give us many who on that day will shine, Lord, like the sun in the very firmament, in the kingdom of our Father who will have, Lord, they’ll have borne a hundred-fold. Give us many like that. Hundred-fold Christians. Lord, please don’t let this American life, don’t let the riches, don’t let the comforts, don’t let the wealth make us all into ten-fold Christians when hundred-fold could be a reality. Oh, we would have rather been born in India if that’s what this culture will do to us. Help us, Lord. Help us with all of our riches to be rich in good works towards the poor across this world. I pray this in Christ’s name, Amen. 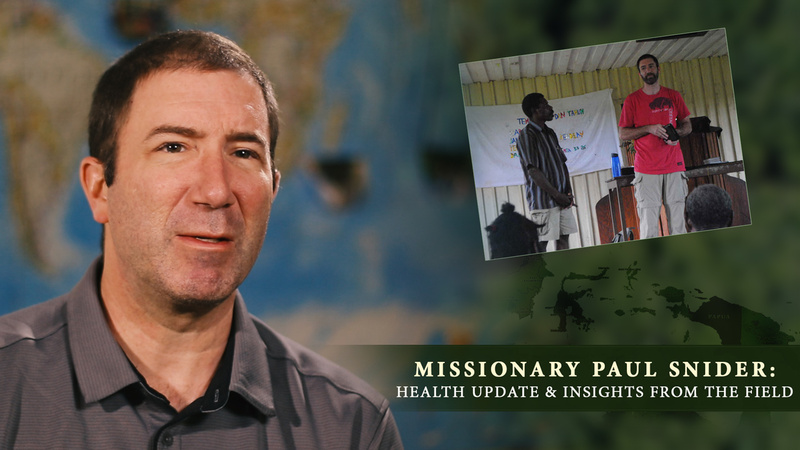 Paul Snider, a missionary to the Korowai people of Papua, shares some valuable insight from years spent on the mission field. If any Christian is considering going to the mission field, they would do well to listen to this interview. Could you give a brief history of how the Lord led you over to Papua and how you got there to co-labor with Trevor? Could you just explain what all you have gone through in the last year, physically? 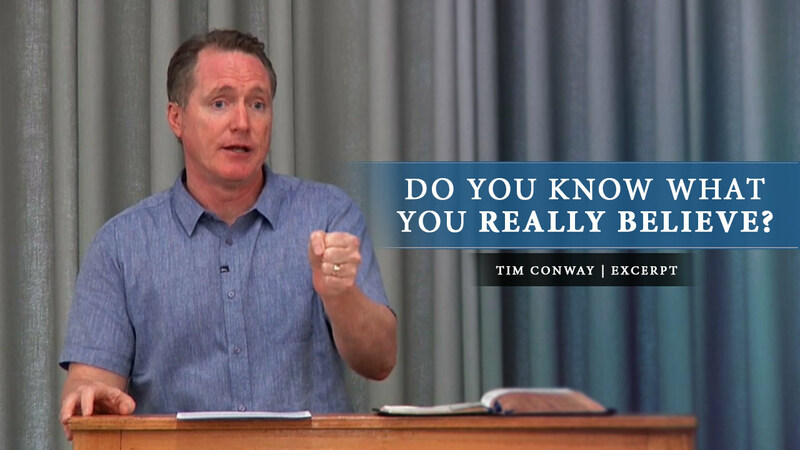 Could you explain what all you’ve gone through spiritually? When you were feeling your absolute worst after having become sick, what Scriptures were the most prominent and anchoring for your soul? After years on the mission field, what can you look back on and see differently, or false expectations you had prior to being on the field that you now look at differently? How receptive have people been to the Gospel there? What would you say if you had a few minutes to give an appeal to somebody on why they should think of going to a place like Papua? How important has having a co-laborer been? What ways do people most misunderstand you and Trevor and the work there? Looking back, what regrets, if any, do you have? Looking forward, what fears do you have, if any? What has been the most helpful advice and involvement from your sending church? What have been some of the greatest ways people off the field have been used to encourage you while on the field? What is essential to get a believer being launched into a mission field like that? When do you head back? In what ways can people be praying for you right now? The world has its definition of what it thinks Christianity should be. Not surprisingly, it doesn’t resemble what the Bible and what God defines Christianity as. The world is going to have a problem with biblical Christianity, and one of it’s biggest problems will be Christianity’s refusal to compromise on truth. 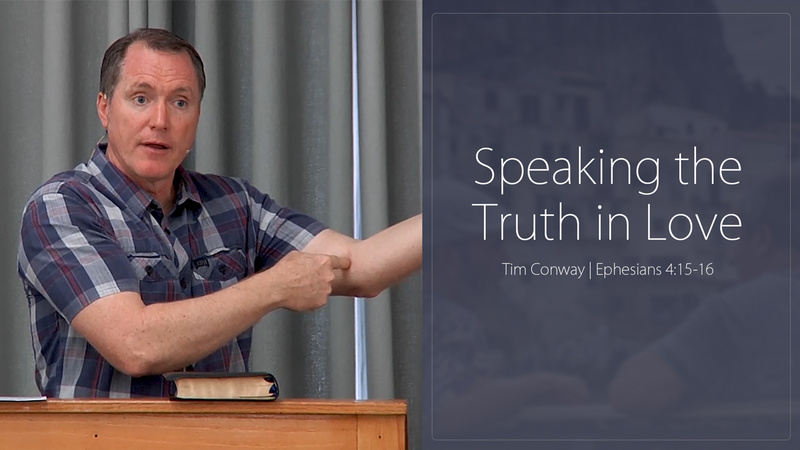 Excerpt is taken from the full sermon, “Speaking the Truth in Love“. As Christians, we are called to no longer walk the way we did when we were lost; to no longer walk as this dark world walks. And one of the prominent characteristics of lost humanity is that they have a mind full of vain thoughts. Christian, no longer let your mind be led astray into thoughts of futility like when you were lost. 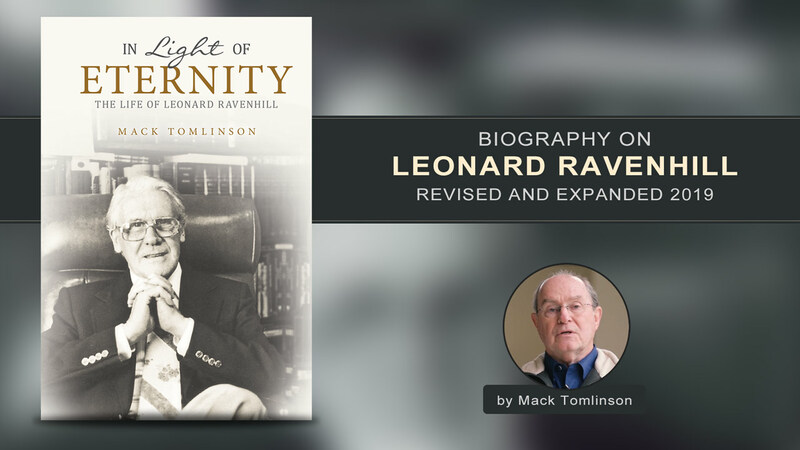 Leonard Ravenhill was a man greatly used by God in the 20th century. His preaching came with heart searching power and conviction. His life was one of spending much time alone with God. 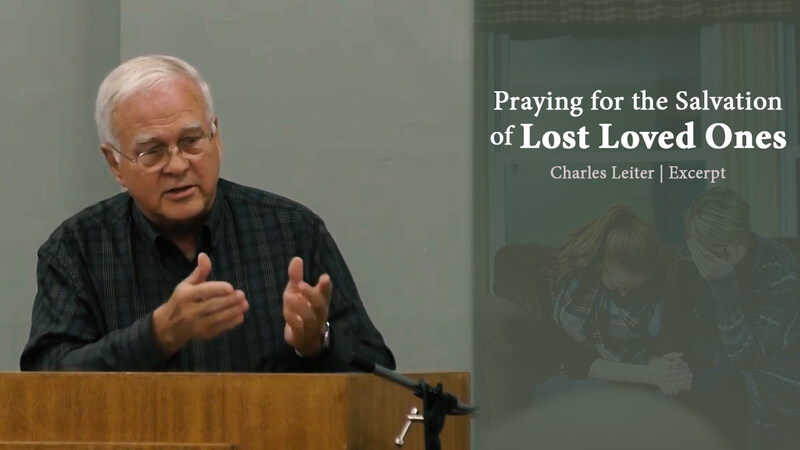 Countless believers have been greatly impacted by his life and ministry. With all the modern technology we have, it could be said that our generation has more access to sexual sin than any other generation in history. But this is no valid excuse because we also have more access to the Bible, good books, and good sermons more than any other generation has. 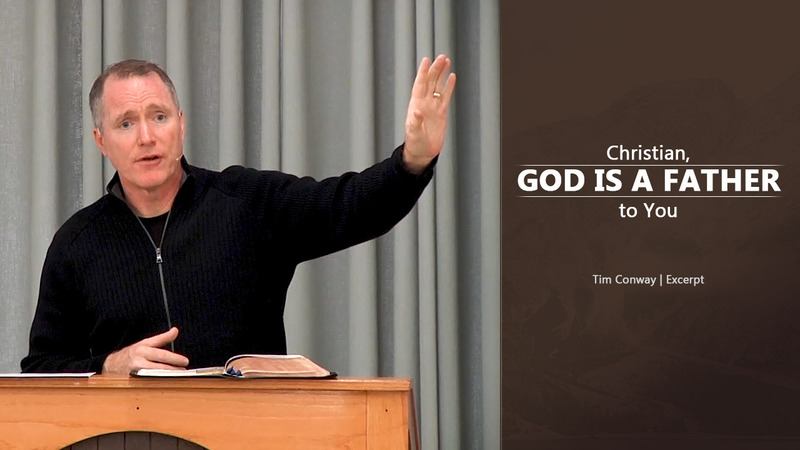 View the full sermon here. So many have deluded themselves into thinking that they can hide their sin. But they forget that God has innumerable ways of exposing their sin. Oh how better it is to come clean and not have to experience the painful humiliation of God exposing your sin. 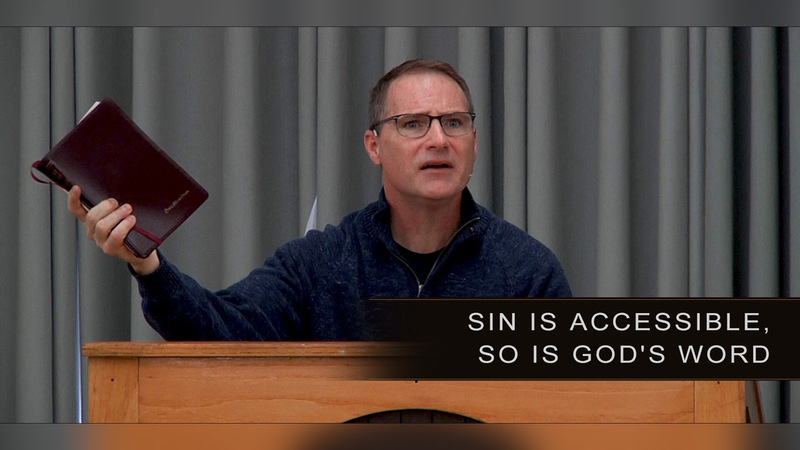 The excerpt is taken from the full sermon, “Secret Sins“. How are we to grow as Christians and as churches? The Bible describes us as a body, and in order for us to grow, we need to hold fast to the Head and also joined to one another. And one of the primary joints that will hold us together is speaking the truth in love to one another.